The ultimate, all-in-one productivity solution for professionals on the go. 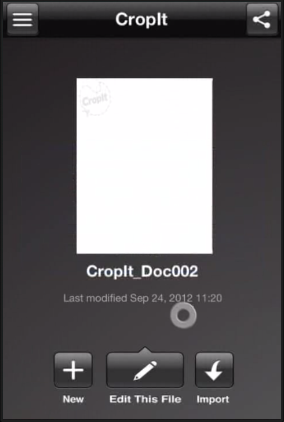 “CropIt” is an innovative tool that features revolutionary functionality which allows users to crop documents & images in free form and share them colleagues/friends. Cut, copy and paste any shape from multiple documents and images. Open and edit images and documents including JPG, PNG, PDF. Draw, erase and annotate on documents and images with unlimited undo and redo. Send your creations and documents by email, MMS, Facebook, Twitter, etc. © Since 1994 CyberQuest Systems Limited ® All rights reserved. Other Company names, Product names & Logos etc. used here are registered trademarks of their respective companies.